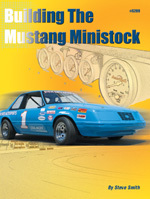 Everything you need to know to build and race the Mustang competitively. SPECIAL PACKAGES: Buy both the S289 book and V290 video together for only $62.95. Or, buy the S289 book, V290 video, and V292 video together for only $79.95.